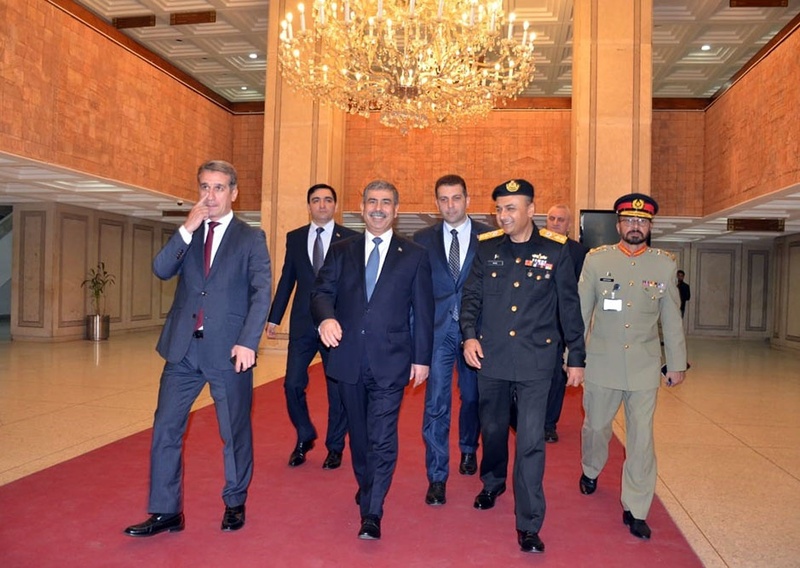 Azerbaijani Defense Minister Colonel General Zakir Hasanov met his Pakistani counterpart Pervez Khattak as part of the official visit to this country, the Azerbaijani Defense Ministry reported. 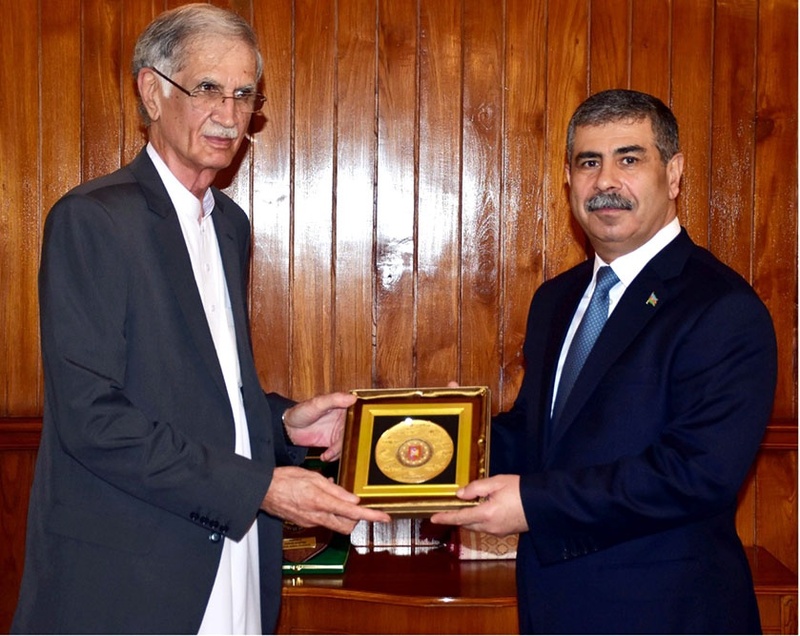 The Pakistani minister stressed the developed and sufficiently strengthened relations in various spheres,and the great potential for military cooperation between the two countries. Colonel General Zakir Hasanov, expressed his appreciation for the warm welcome, emphasised that friendly relations between Azerbaijan and Pakistan have deep roots. The Minister of Defense, touched upon the military-political situation in the region, provided detailed information about the Armenia-Azerbaijan Nagorno-Karabakh conflict and noted that Azerbaijan and Pakistan support each other in international organizations, emphasizing that this is an indicator of the partnership relations that come from the willingness of our peoples. During the meeting, the parties discussed the development of cooperation in the security, military, military-technical, military-educational and other spheres, as well as exchanged views on many issues of interest.